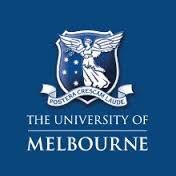 The University of Melbourne enjoys an outstanding reputation with world rankings consistently placing us as Australia’s leading comprehensive research-intensive university, and one of the world’s top 50. Melbourne attracts the best and brightest students and researchers and, with a history of over 160 years, we occupy a special place at the heart of our city’s cultural scene. About 300 awards to be given.